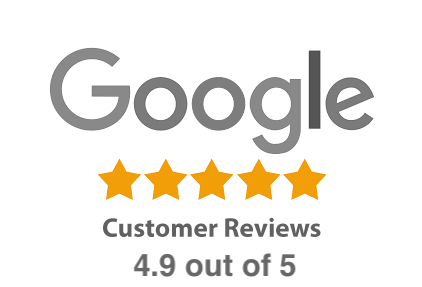 During your Lean Six Sigma Green Belt Training and Certification experience, our “second to none” Service Specialists are on hand to ensure that your online experience with us is exceptional. Whether we are ensuring that your account is accessible to you at all times or you simply have a question in regards to your Lean Six Sigma certification, rest assured that our Customer Care Team will enable you to get the most out of your online training. Click on Free Tour to learn more about our Green Belt Certification program’s training. Lean Six Sigma Green Belt training provides participants with enhanced problem-solving skills, with an emphasis on the DMAIC (Define, Measure, Analyze, Improve and Control) model. 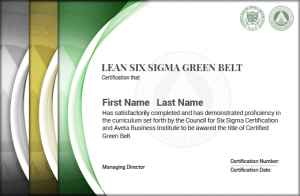 Lean Six Sigma Green Belt certifies the employee to serve as a trained team member within his or her function-specific area of the organization. This focus allows the Green Belt to work on small, carefully defined Lean Six Sigma projects, requiring less than a Black Belt’s full-time commitment to Lean Six Sigma throughout the organization. 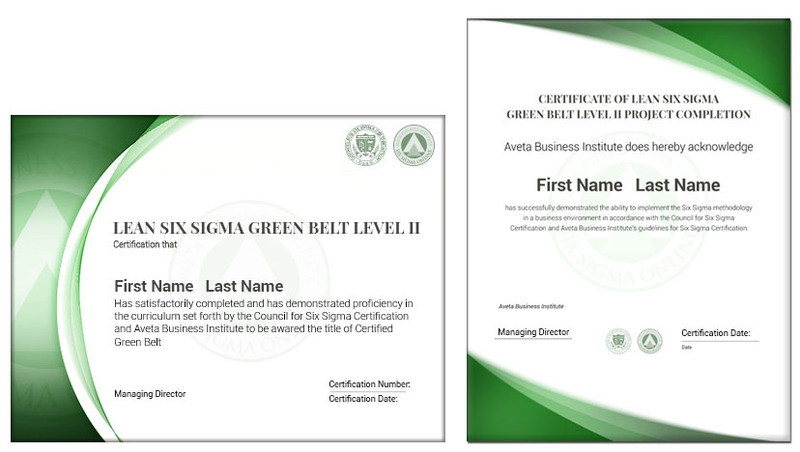 Note: This “Lean Six Sigma” Green Belt Certification is also available in a “Six Sigma” version. To understand the difference, please refer to our “Six Sigma vs Lean Six Sigma: What’s the difference” page. Lean Six Sigma has quickly earned a lot of recognition for the impact it can make not only on business organizations worldwide, but also on the careers of those who have obtained their Lean Six Sigma Certification. Below we discuss the top 5 reasons individuals choose this type of training and certification. Lean Six Sigma Methodologies can transform an organization by identifying and eliminating errors that would have otherwise created poor customer satisfaction and profit losses to the business. A Certified Lean Six Sigma professional can help across any industry to optimize any process or system leading to both hard and soft savings. The Green Belt has two primary tasks: first, to help successfully deploy Six Sigma techniques, and second, to lead small-scale improvement projects within their respective areas. As a support population, Green Belts can do much of the legwork in gathering data and executing experiments in support of a Black Belt project. They are practitioners that spend approximately 25% of their time on Lean Six Sigma projects of their own or in support of Black Belt projects. During the Lean Six Sigma Green Belt Training you will learn how to use many of the Six Sigma problem-solving methods and statistical tools to contribute to the success of your organization. For those interested in pursuing a more comprehensive Lean Six Sigma certification, the Lean Six Sigma Green Belt is a great place to start. A Green Belt Certification will prepare you to work on Six Sigma projects within your organization with a fundamental understanding of all Lean Six Sigma concepts and a focus on data collection and analysis. Our Lean Six Sigma Green Belt training program includes certification at the White Belt, Yellow Belt, and Green Belt levels, and serves as a stepping stone for potential upgrades to a Green Belt Level II. 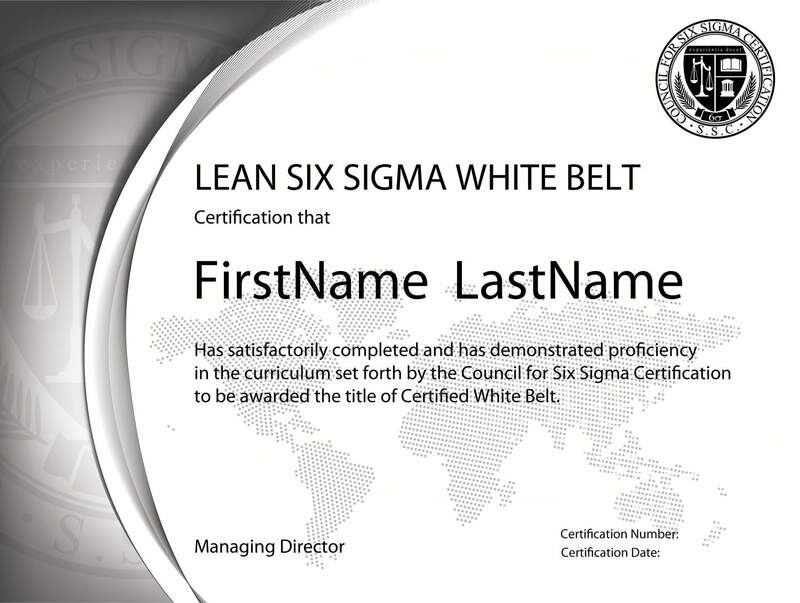 There are no prerequisites for our standard Lean Six Sigma Green Belt Certification Program. However, this certification is a prerequisite for any individual wishing to continue on to our Level II Green Belt Certification, which does have a required project component. As illustrated above, the Lean Six Sigma Green Belt Certification exam consists of 24 separate chapter exams (between 10-15 questions each). We offer various levels of Green Belt Certification. The further you advance, the more you can expect to see a drastic change in your earning potential as you further set yourself apart from the competition. Employers will depend on your ability to vastly improve both quality and profitably levels. Note: This is an Advanced Level Certification. 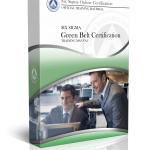 A Standard Green Belt Certification is a prerequisite for applying for this Certification. How difficult is the project requirement for the Level II Green Belt? Most of our students do not experience any problems with the project portion of the program (whether submitting a hypothetical or by having participated in a real project).